Light yourself up! Okay, not in some weird way. We mean with the Shoelace LightPulse and the BuzBracelet by Buzline. These clever designers thought to themselves, can we make something that will keep people safe while still being stylish? And, the answer is yes. Their shoelaces have bright white LEDs that pulse with every step you take. 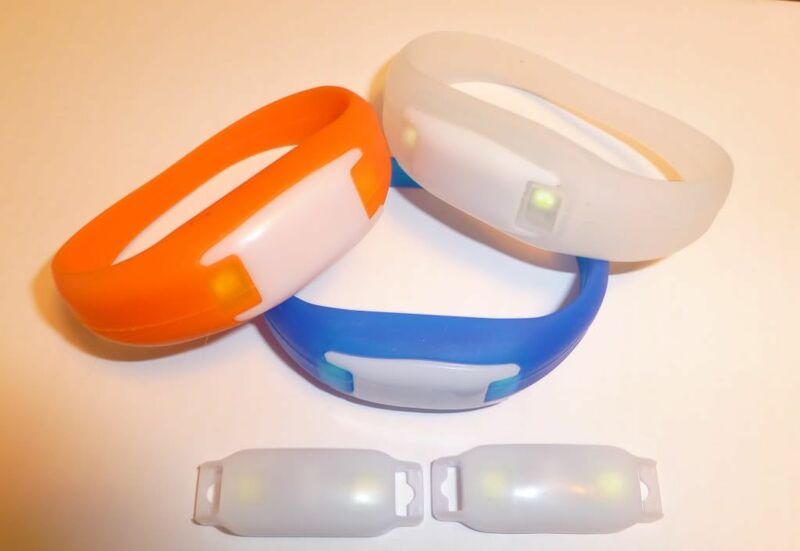 And the bracelet has bright white LEDs that flash as you move your arms. In effect the Buzline folks have put motion sensors in accessories to flash little lights to keep you safe. Genius, and a natural fit for keeping you safe while running and biking and hiking and just being out and about at night.